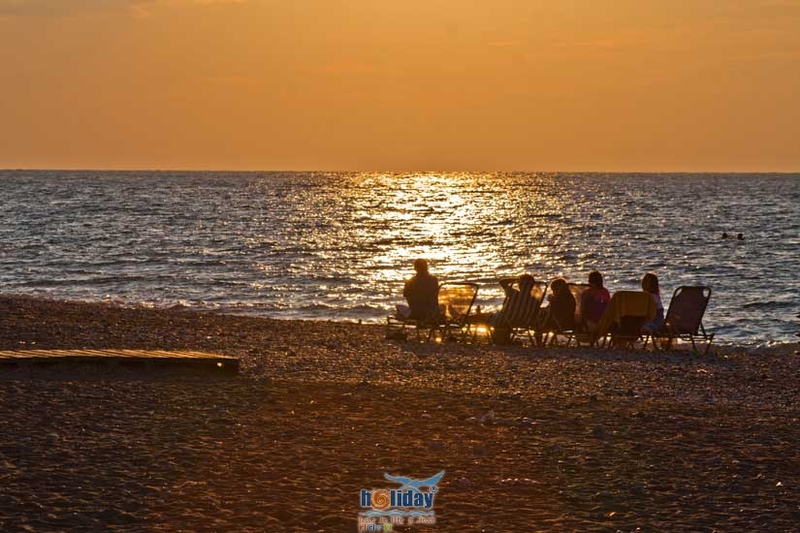 The Doreta Beach is situated on the west coast of Rhodes in Tholon, a small pretty village. 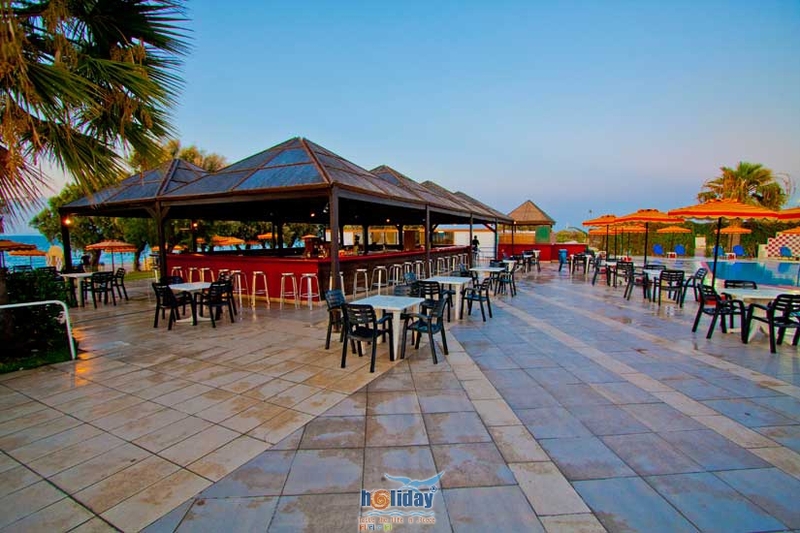 The hotel has a great location, directly on the beautiful beach. 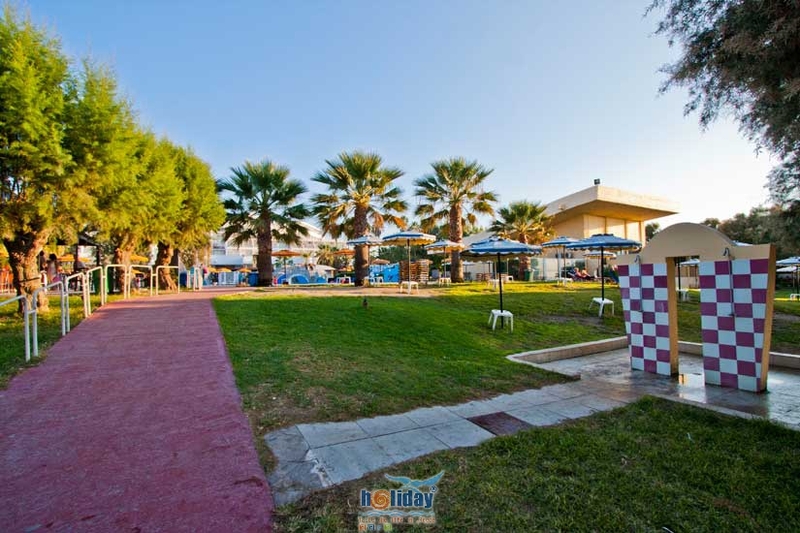 A predominantly family hotel with great atmosphere, the Doreta Beach is a fun place for children and has spacious lawns leading down to the tree-lined beach. 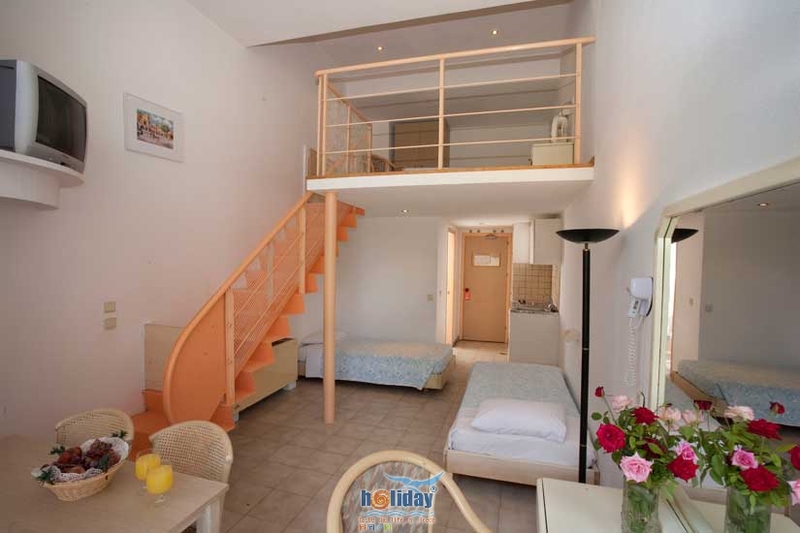 Comfortable twin rooms with equipped with 1 single & 1 double bed, 1 double bed & 2 twins or 1 double bed & 3 twins. 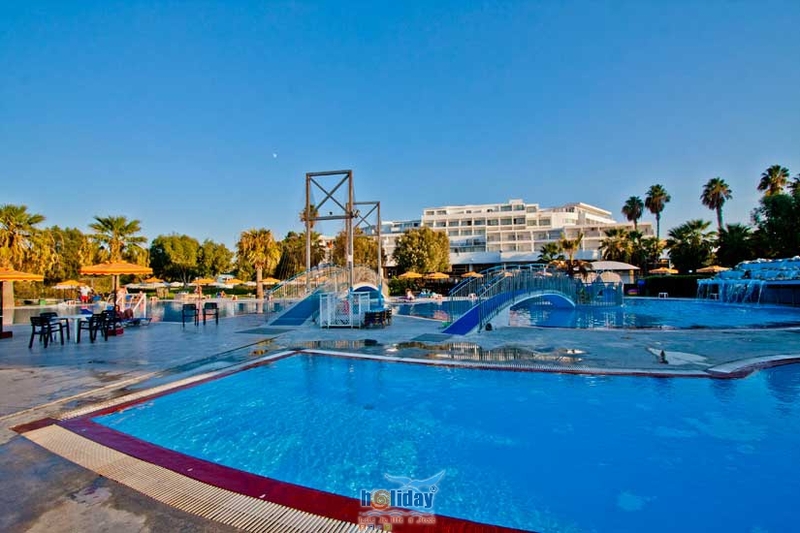 Air-conditioning in all rooms (from 15/6 until 30/9), private bathroom, radio, hairdryer, smoke detector, direct dial phone and fridge on request (payable locally). 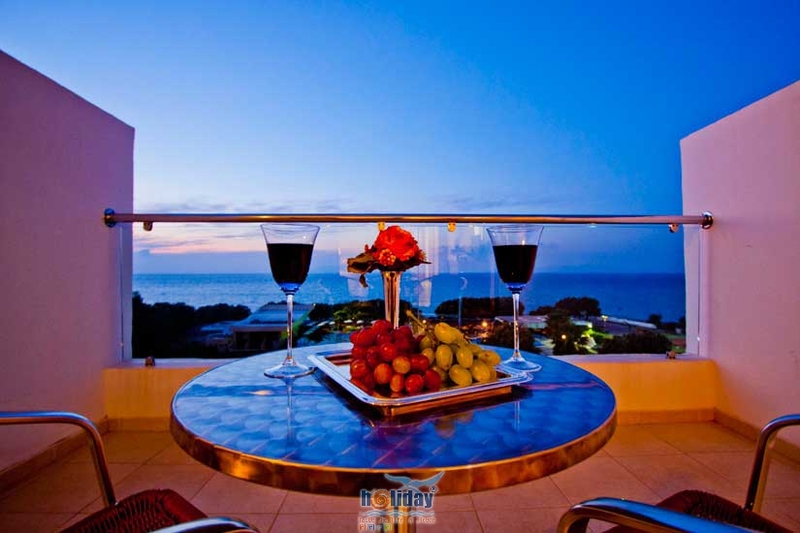 Balcony or terrace with direct sea view, Mountain View or side sea view. Late check out is available on request and is paid locally. There is limited wheelchair accessibility. 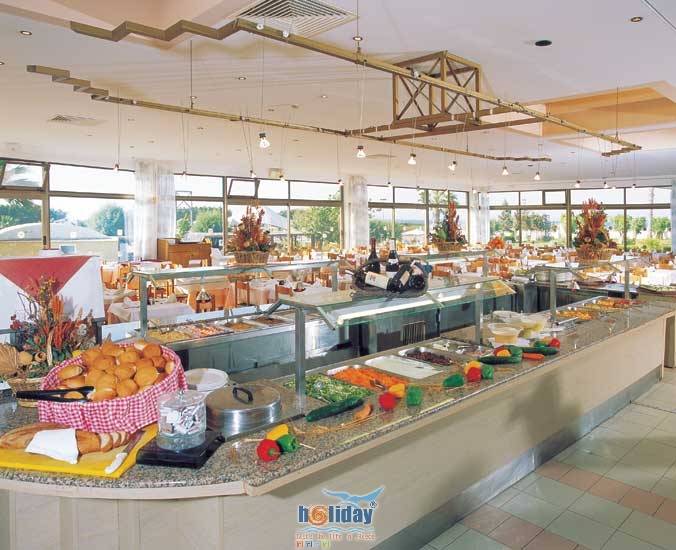 Breakfast, lunch & dinner are served buffet style at the Symposium restaurant, where you can enjoy Greek and International cuisine. 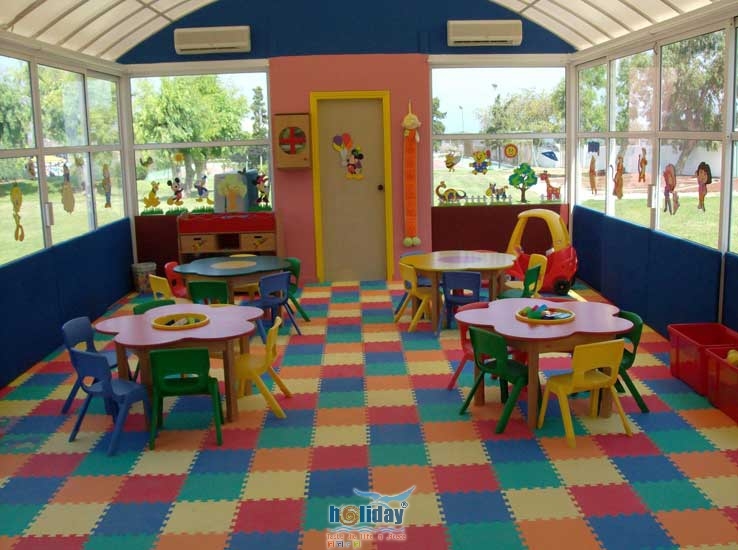 Childrens buffet available (lunch and dinner), high chairs available. Vegetarian and special dietary requirements available on request with advance notice. 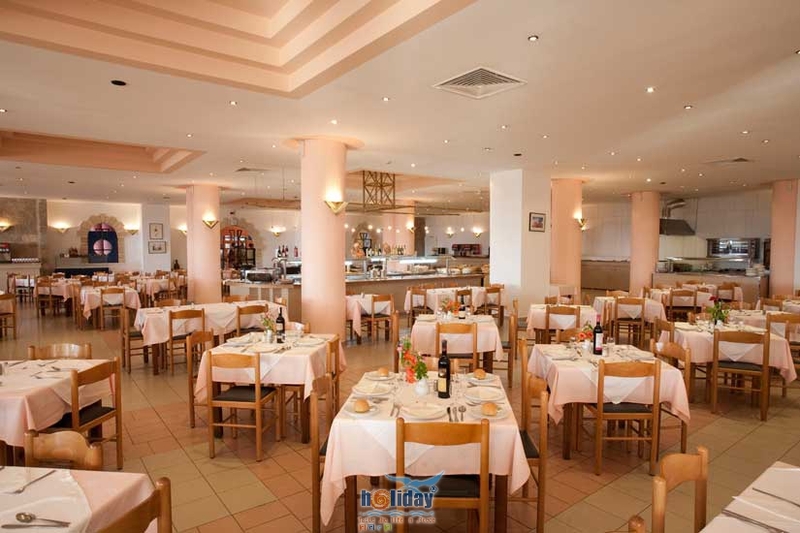 The taverna offers food buffet style with various fresh salads, main dishes and fruit. Includes a welcome drink at welcome meeting, bottle of mineral water for arrivals after midnight. Birthday cake for children under 12 yrs old. 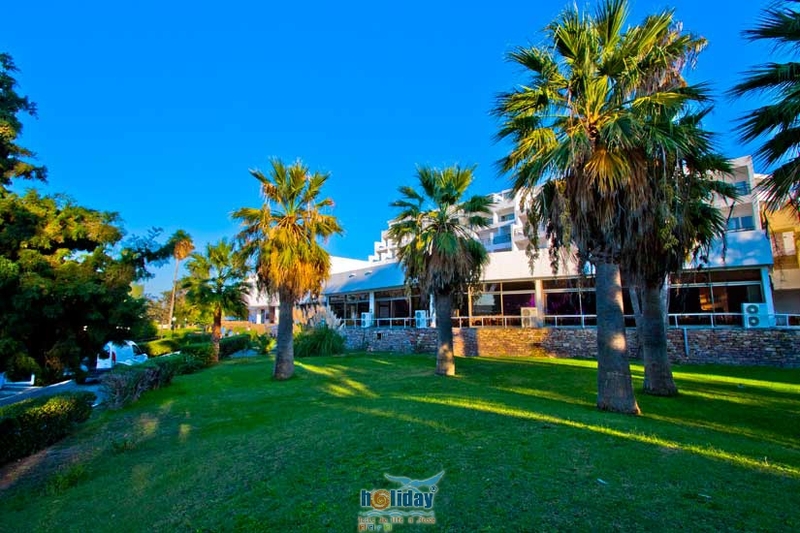 The hotel is located 7 km from Rhodes airport (RHO) and 17,5 km from Rhodes town. Open: From April to October. Year of Construction: 1976. Renovation: 1996/2001. Number of Floors: 6. Number of Rooms: 340. Number of Apartments/Maisonettes: 36. Some aircraft noise may be heard. 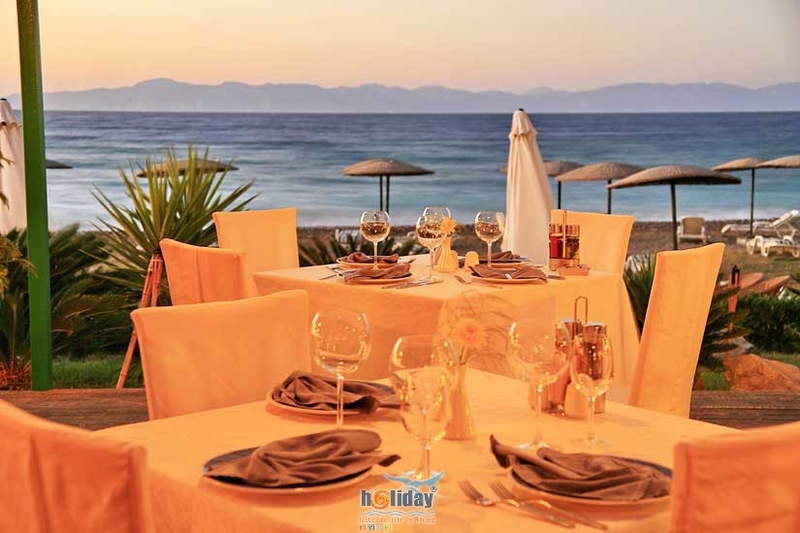 The Hotels beach has been awarded with the European Blue Flag for the last 4 years.